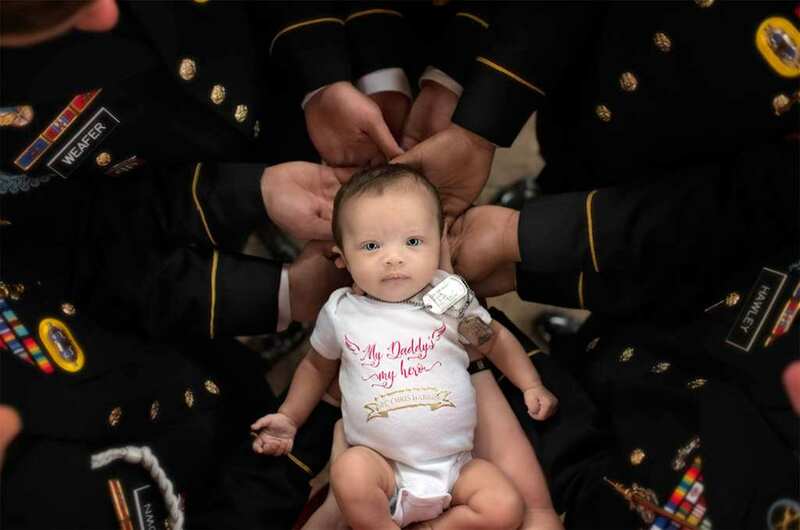 A baby whose father was killed during his service in Afghanistan has been introduced to the men he served with. She also had the most heartwarming photoshoot with them. 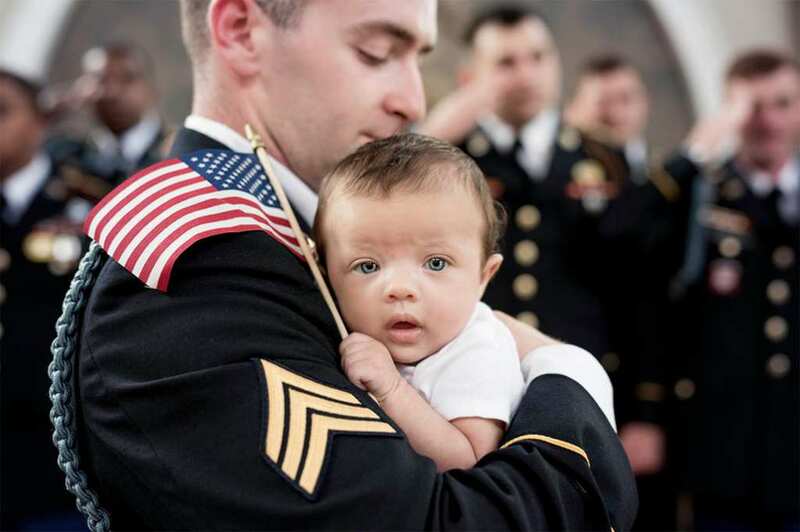 Two-month-old Christian Harris lost her father Army Spc. Christopher Harris, who died at the hands of a suicide bombing on August 2, 2017. Christopher’s wife Brittany was six weeks pregnant at the time with baby Christian, meaning that the baby never got the chance to meet her heroic father. “I forced myself to be as healthy as I could no matter how bad I wanted to just lay in bed and cry,” she said. However, Brittany made sure to honor her husband’s legacy, and she did it in the most profound way. Brittany recently called up Christopher’s fellow soldiers to join her at the gender reveal announcement. Five months later, blue-eyed baby Christian was born. “The moment I saw Christian I cried and held her to my chest. I couldn’t believe she was finally in my arms,” Brittany said. “I finally had something so beautiful that brought me the most amazing feeling.” But that’s just the start of this beautiful story. Brittany organized a photoshoot that would unite her daughter with the men that Christopher served with. Some of the photos showed the soldiers taking turns holding Christian and saluting in honor of Christopher and the United States of America. Christian’s outfit for the shoot read “My Daddy’s My Hero,” an idea brought to life by Pinehurst Photography on May 29.